As marketers become more metrics-driven, it’s now possible to measure the results of nearly every strategy or tactic within an integrated marketing program. Website re-designs are the exception to this rule. Re-designs are often done based on feelings and assumptions rather than metrics, which creates a slew of problems. Typical projects last three or four months (assuming nothing goes wrong, of course) with unpredictable costs. Even a few adjustments or tweaks here and there can suddenly push a $25,000 up to $50,000 or more while simultaneously pushing back the site launch date. Once completed and launched, many sites sit mostly unchanged for two or three years, before it’s time for another re-design. If any of this feels painfully familiar or maybe outright infuriating, we understand. Your website is your top marketing asset and needs to be held to the same analytical scrutiny you would hold any other campaign to. Luckily, there is an answer to this. Growth-Driven Design is a new approach used to make incremental improvements to a website over a longer period of time rather than investing a lot of time and resources on a new-build project without knowing its effectiveness. Rather than doing an entire project at once, Growth-Driven Design starts off with a basic launchpad site that only takes 4-6 weeks to launch. The site intentionally leaves a lot of the features out of the first iteration. Once the launchpad goes live, there are continuous improvements every month based on live marketing and sales data. Growth-Driven Design benefits everyone while improving integration with your other inbound marketing efforts. Rather than guessing what will make the website work towards your business goals, you can improve the site based on what you learn is already working. Growth-Driven Design focuses on optimization and ongoing learning regarding your website. With a shorter time frame, it is easier to predict your budget and hours on a monthly basis rather than worrying about scope creep or missed deadlines. With Growth-Driven Design you are constantly testing and learning how users interact with your website. You can then use this data to continue adding new features or improving existing ones to ensure your site performs at the highest level possible. As more businesses rely on their website to build leads and generate sales, a well-optimized site is central to your digital marketing success. Say goodbye to your obligatory web redesign. Since with GDD your site is constantly in an iterative process, it is always optimized for SEO, new user trends and most important, responsive. 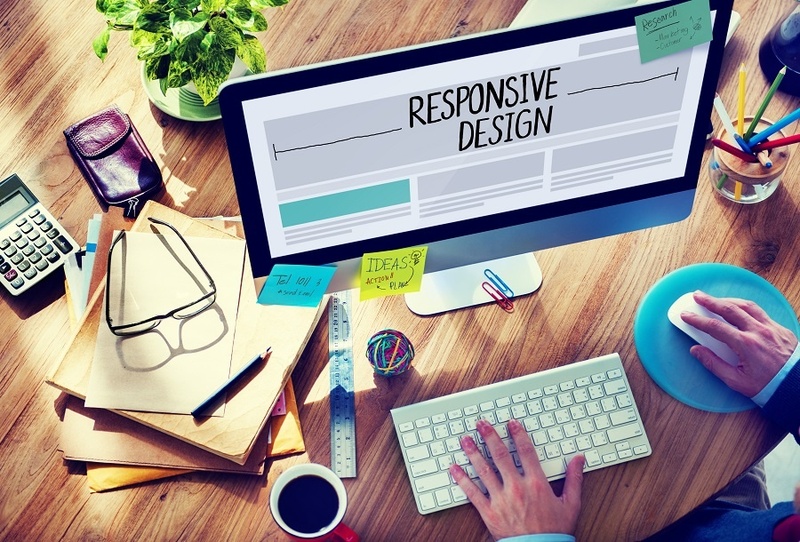 Making an existing site responsive is a large and costly undertaking. But with GDD, the site is responsive the entire way through the building process. 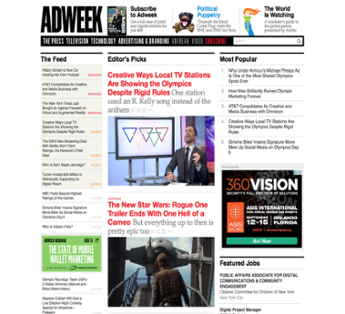 Adweek updates their page daily with what’s new in print, web, television, etc. Anything that is creating a buzz in the advertising industry can be found here. It is a great place to watch new commercials without having to turn your TV on. I personally like to visit Adweek at least once a week just to stay on top of what’s new, and looking at/watching great work is always inspiring. 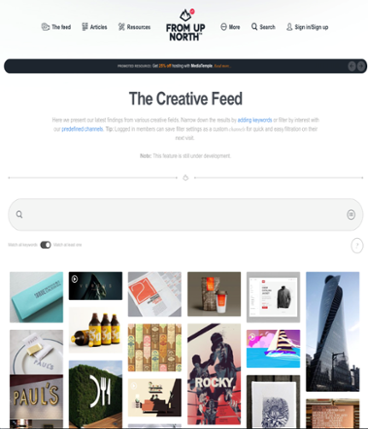 From Up North is an online magazine that curates the creative web to bring you the latest news and showcase the most engaging and beautiful pieces of inspiration. The feed highlights every creative medium you can imagine. They also have articles that feature specific artists and popular topics. This is a great place to both discover and share beautiful design. Designspiration curates high quality content and lets you search by tags or color. They have beautiful pieces of illustration, photography, typography and more. When I am looking for web design inspiration, this is the first place I go. 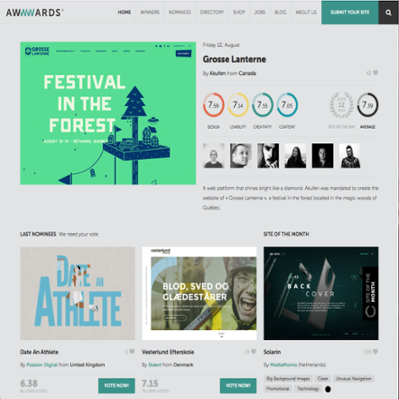 If you want to know what a really well designed and developed website looks like awwwards is the place to look. They have an expert panel of creatives who hand out awards to recognize the best web designers, developers, and agencies in the world. They judge for design, usability, creativity, and content. You can also search for sites based on category, tag, color, and country. Inspiration Grid is an online magazine that celebrates creative talent from across the world. You can find pretty much anything you are looking for on this site. It is separated into categories that include design, art, illustration, typography, fashion and more. Of course you can always go to Pinterest to find things to inspire you. I like to make a board when I am working on certain projects with anything that inspires me on that specific client/project and then I can share my board with others to show my thinking. Inspiration is everywhere on the internet. Where do you go for inspiration? I’d love to check out your favorite sites. Do Designers Need to Learn Code? Many of my design friends are noticing that their counterparts in tech are going into coding school or teaching themselves front-end development. As a result, some are wondering if they should also be learning coding. The truth is, there are quite a few benefits to being a designer who knows the basic markup languages (HTML and CSS). Although you might not be creating a website yourself, you are responsible for design and user experience. Therefore, it’s crucial that you and the developer are on the same page. Like any relationship, it is a two-way street. Designers and copywriters used to be a common partnership in agencies because the creative needed to be consistent. This partnership is still important. However, designers also need to collaborate well with developers. In order for them to work well together they need to be able to communicate with each other successfully and understand the scope of the project. Just as designers need to understand their clients’ messaging, they also need to know how their graphics fit within the site’s functionality. Designers and developers who understand each other’s work can put together a better result than when they work in silos. The key to making this work is communication. Learning how to code can help make you a better designer. There are many more possibilities with animation on the web than there were in the past and this is always changing and growing. Knowing the possibilities of the platform that you are designing for will help you develop your design. Hour of code is a one-hour introduction to computer science, designed to take code and simplify it to show that anybody can learn the basics. The Hour of Code is organized by Code.org, a non-profit dedicated to expanding participation in computer science by making it available in more schools. Anyone can sign up to host an Hour of Code event at their school or in their community. Each year Hour of Code takes place during Computer Science Education Week, which is Dec. 5-11 this year. The tools provided today make it easy to learn in your own time and wherever you are. With a huge growth of jobs in the tech industry now is the perfect time to start learning code and markup language. Over the last several years, responsive design has made its way into being the most popular type of design used to build websites. It’s the reformatting of images and text on a website, making it easily accessible and viewable on different devices regardless of your screen size. A common misconception is that if a company doesn’t have a lot of mobile traffic, then they don’t have to worry about moving to responsive design. But users may not be engaging on mobile due to their bad experience. Users want to have a good experience on a site no matter what device they are viewing it from. Responsive design will help to do just that. Another perk of responsive design is that Google favors it. When mobile became more popular people started creating separate desktop and mobile optimized sites. The downside to that is there are two separate links, one for mobile and one for desktop. By creating a website that is responsive you are only using one URL for your site and therefore eliminating redirection to a mobile or desktop version, depending on the device the site is being viewed on. Also, a single URL makes it easier to link and share your site with others, which will help your site’s SEO. And a single URL with a responsive site design prevents duplicate content, which confuses Google and causes your site to be penalized. There are 1.2 billion mobile users worldwide (and growing). In the U.S. 25% of mobile users are mobile-only, meaning they rarely use a desktop. Responsive design allows for your site to adapt to be viewed and more easily managed on new technology. In order to design effectively you have to understand the fundamentals of design. That way, when you break a few rules you can break them the right way. There are a lot of things to keep in mind while designing, from typography, to layout, to color. This list will help guide you when designing. Letter spacing doesn’t sound like that big of a deal, but it can make the world of difference when it comes to legibility. Kerning is the adjustment of space between characters. The ultimate goal of kerning is to make sure that the space between each letter is visually even to make for a neater and orderly text while making your text easier to read. Tracking is similar to kerning in that it adjusts the space between characters, but where kerning is the space between an individual letter, tracking is the space between a group of letters. For example, by making the tracking larger in a paragraph, the space between all of the characters will increase. Leading is the space between two baselines of type. If the leading is too small the type will appear squished in the space. If you’ve ever struggled through an article online or in a magazine because you kept losing your place this is the fault of badly structured line lengths. The golden rule is about 30-40 characters on each line. When lines are too short they appear choppy and if they are too long they become tedious and difficult for the eye to follow. When choosing a typeface there are several things you should consider. Readability is the most important thing when it comes to choosing a typeface. You want to make sure that the typeface is easy to read so that your message gets across to the audience. Never use a display font for body copy and never stretch a typeface to make it fill a space. Your design will always benefit if you take the time to find the appropriate typeface. You also have to consider your audience when you are choosing a typeface. You wouldn’t use the same typeface on the package of a children’s toy that you would on a business card for a law firm. Left aligned type is the most common form because it is the most legible since we read from left to right. When in doubt, left align. Right alignment is most likely used for decorative purposes or small sections of type in publications. It isn’t recommended to right align a large group of text. With the left edge left ragged, it makes it hard for the eye to follow and difficult to find the next line. Centered text can be used for a wide variety of reasons. Centering text makes it easy to balance out a design but similar to right aligned text it is not recommended for large bodies of text. Justified text is when the body of text has a neat left and right edge. In some cases justified text can be great, but it also has a lot of issues, mainly spacing. It’s most common use is in novels. Spacing becomes an issue in justified text when there aren’t enough words to fill the space nicely, or when there are too many words and the type becomes squished. It can become difficult to align justified type so that it looks pleasing to the eye and is legible. Color is a powerful tool for designers so when designing a color palette, it may be worth looking into color theory and past uses of color. Color theory dictates that certain hues can have certain effects on the viewer. For example, blue is thought to stimulate trust, which is why it is used a lot in the security industry. Selecting the correct color for your design is important. You want to make sure the color isn’t too distracting and doesn’t confuse your message. When used correctly white space can be very beneficial to your design. It helps your eye focus on a specific element of your design, gives it room to ‘breathe’, and can help balance your design. White space can also help add meaning to your design without having to add another element to it. Adding effects to your design is best when done in moderation and with purpose. Just because you can add effects doesn’t mean you should. When it comes to communicative design, staying simple is the best way to go. Effects like drop shadows, textures, beveling, and gradients all have their time and place, and probably shouldn’t all be used at the same time. As important as it is to learn the fundamentals of design it is also important to challenge them. But in order to do that effectively, you have to understand them first. The most important rule is that there are no rules!